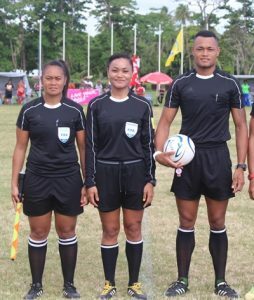 TongaFootball > News > Refereeing > To lift the standard of Referee in Oceania! The Refereeing MA Course is an annual event as part of FIFA assistance program to develop the standard of refereeing here in Tonga as well as in our region, Oceania. At the home of Football, Loto-Tonga, 26 local referees came in for the official opening of this five days course. There are few participants selected from Vavaú Island and the rest were from Tongatapu. This course is conducted by Mr Subkhiddin. M. Salleh, FIFA Instructor but originally from Malaysia. they really have good quality’’. ‘’We have many instructors at the moment, and our new approach is to bring something brighter. from UEFA, and we need to take those away from referees,’’ Salleh said. 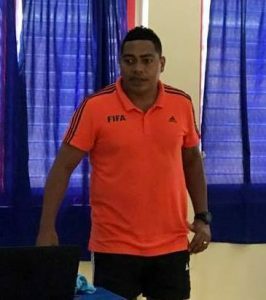 ‘’I am happy that Tevita Makasini is one of the participants, as he is one of the top assistant referee through the FIFA tournaments. He is a great role model for me to use as an example,’’ he said. Salleh spoke highly of Makasini, and he will make sure Makasini will bring in a great referee from this group in the near future. and to the qualities of their performances’’. 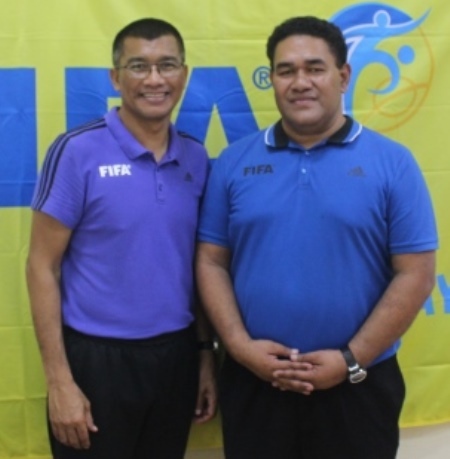 ‘’On the other hand, the Tonga FA Referee Instructor’s will also benefit from this course as they are required to play a major role by actively involved during the duration of the course,’’ he said. 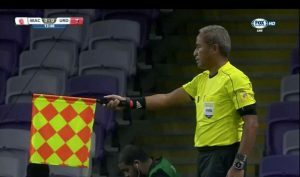 ‘’All coaches and players are expecting high quality officiating and this can only be achieved with quality training and development such as FIFA-MA Refereeing courses’’, Vea said. Vea also believe that their challenge now is to maintain and build up a well-trained, highly qualified body of referees that support and enhance the delivery of the sport we love. to all participants and urged them to learn as much as they could from Salleh experties. This FIFA-Tonga MA course will conclude on Wednesday 26th and in the scheduled, fitness test will conduct to all participants. Previous Post Football is now back on track in Éua! Next PostLive Healthy, Live Longer and Live Happily!